While sales remain relatively flat year over year, price per square foot is up. 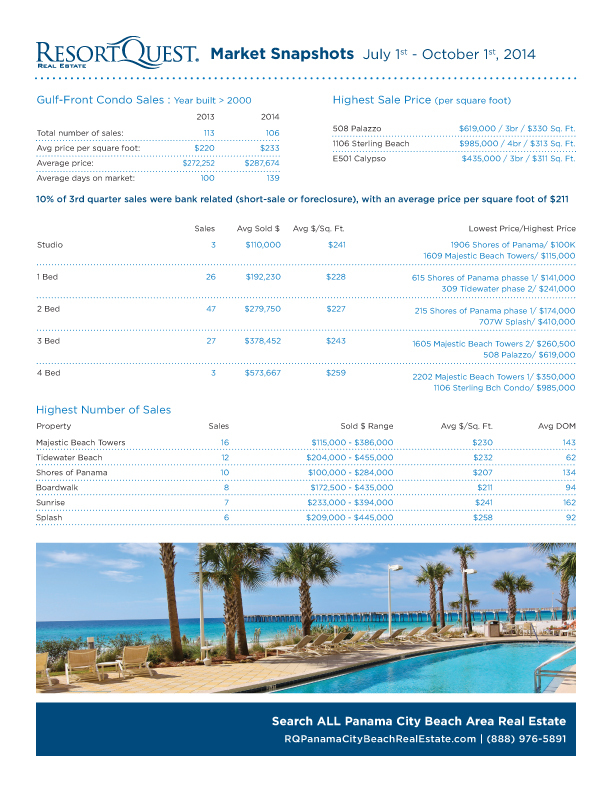 The top three highest sales were at Palazzo, Sterling Beach, and Calypso, selling at up to $300 per square foot, nearly $100 more than the Gulf-front condo sale average in Panama City Beach. 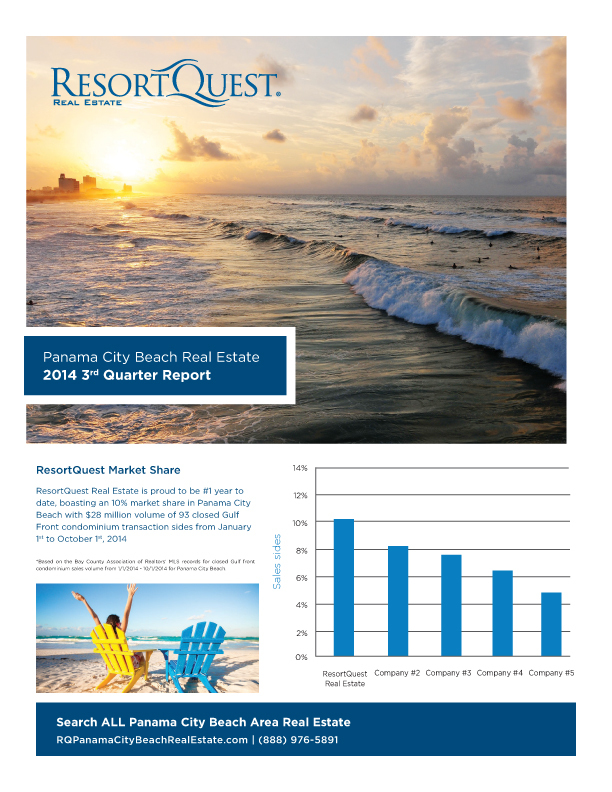 Read on to learn more about the current state of the Panama City Beach real estate market.